Between April and July 1994, countless Rwandans were murdered by Hutu extremists, who terrorized the country in an attempt to wipe out the Tutsi population. More than 250,000 victims are buried at the Kigali Genocide Memorial, which aims to provide a context for the slaughter and educate visitors about prevention of future genocide. Explore the site’s cemetery, children’s memorial, and educational exhibitions for a deeper understanding of the tragedy. Guided tours, often delivered by survivors, provide first-hand insight into the scale of violence, while audio tours offer colonial causes of the divide as context for the genocide. Widen your perspective by combining your visit with other cultural landmarks, such as the Kandt House Museum, or benefit from a multi-day program to contrast the tragic history with the Rwanda that’s struggling to recover today. Be aware that while there is no specific age limit at the memorial, the exhibitions include weapons, uncensored images, and human remains. Keep in mind that the memorial is a place of mourning for many Rwandans. Access to the memorial is free, though the informative tours are worth the extra cost. The site is not yet adapted for wheelchair users. Most full- or multi-day tours include round-trip transfer to the Kigali Genocide Memorial. The site is located a little outside the city center and is best reached by taxi or moto (motorbike taxi). 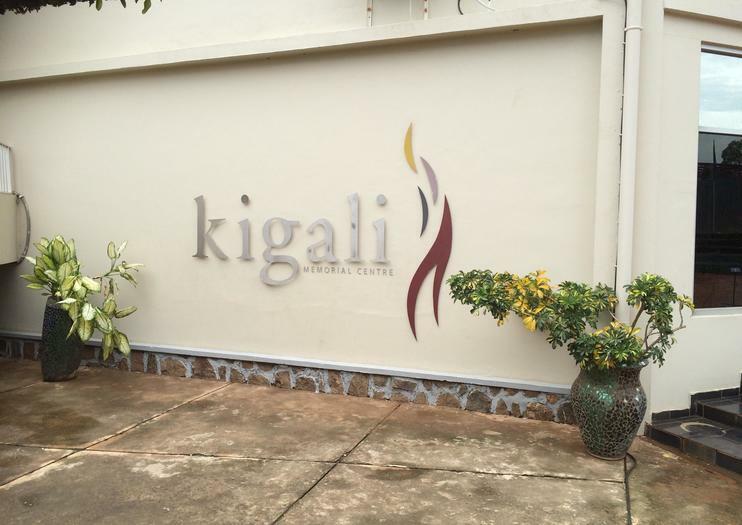 The Kigali Genocide Memorial is open every day of the year, except December 25 and January 1. Opening hours are reduced on the last Saturday of every month, to allow for Umuganda (community work day). Between April 6 and July 4, commemorative events are scheduled across the country in recognition of the anniversary of the genocide. Take time to explore the memorial’s international exhibit to learn more about genocides that have happened, and continue to happen, around the world. The display explores both legally recognized and commonly recognized acts of genocide, some of which are ongoing. Though harrowing, it is hoped that more widespread understanding of genocide and its features will lead to the prevention of future atrocities. Encounter the critically endangered mountain gorilla in one of their last remaining natural habitats, on a 3-day safari from Kigali. Explore Volcanoes National Park’s diverse landscape, lodge overnight in a nearby guest house, and gain insight into the protected species from your local guide as you enjoy the opportunity to observe them up close. Avoid hidden costs with accommodation, meals, and entrance fees included as per itinerary. For those who are pressed for time who wish to familiarize themselves with the Rwandan capital, our half day city tour is a perfect addition to your Rwanda trip. Learn more about Rwanda's history at the Historic Museum, visit a bustling craft market, dine at the famous 'Hotel Rwanda', and visit the heart-wrenching Genocide Memorial. 3 day safari which starts and ends in Kigali- Rwanda. One gorilla permit for Parc Nationale des Volcanoes is included in the cost. Having a chance to see some of the last remaining 880 mountain gorillas in the world is a wonderful experience. It offers you an opportunity to track gorillas in Parc Nationale des Volcanoes in Rwanda has 10 habituated gorilla families . Our guides are some of the best in the business - compassionate, personable and extremely knowledgeable, with skills tailored to your client – whether it’s birding or speaking a foreign language. They have wide experience in different areas including game, birding safari, photographic safari guides as well as cultural and walking safari guides. We mainly use the local guides in the communities as a way of giving back and supporting them.